Snapshot – SUVs/Crossovers are apt for Indian road conditions, given the potholes, speed breakers and assorted nuisances that make motoring a pain in many parts of the country. SUVs and Crossovers come with higher ground clearances, better street presence and also more powerful diesel engines. However, they cost quite a bit to build and are therefore usually pricier than hatchbacks or sedans. If your heart is set on a crossover such as the Mahindra XUV500 but are forced to settle for a C-Segment sedan like say a Honda City due to budget constraints, you may consider the pre-owned car route. Well used Mahindra XUV500s can be had for about 10-11 lakh rupees. 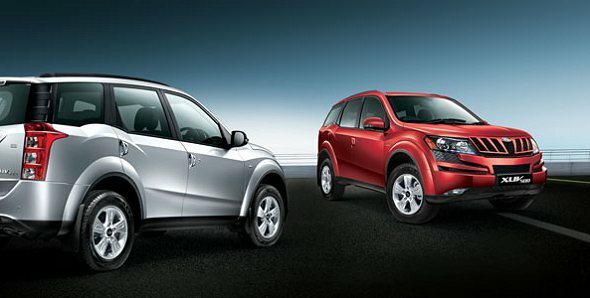 CarToq delves into what you need to look for before you bring home a pre-owned Mahindra XUV500. 1. How to zero down on one based on total mileage clocked? While choosing a pre-owned XUV500 that sells for 9-10 lakh rupees in Delhi, the examples you are likely to come across will be 2011 and in some cases 2012 versions of the crossover. Ideally, a XUV500 should have run about 18,000-20,000 kilometers each year. Stay away from models that have over 100,000 Kms on the odometer, irrespective of the age and asking price as higher mileages means more wear and tear, and higher parts replacement costs. The XUV500 is a flagship vehicle for Mahindra, who even have dedicated service advisors to handle XUV500 customers. With the crossover’s deliveries having begun from late 2011, the XUV500 is less than three years old in India. This means that most vehicles that end up in the pre-owned car market are usually serviced at Mahindra authorised service centers. So, getting access to the vehicle’s detailed service history shouldn’t be a problem with the consent of the vehicle owner. Going through the service history will tell you how well the vehicle has been kept and the repairs that have been carried out. Buy an example only if the service history shows regular maintenance schedule, without any out-of-turn replacement of parts caused by rash driving. The XUV500 crossovers built before 2013 have had plenty of niggles, most of which have been ironed out by Mahindra. You must go through CarToq’s XUV500 – Known issues and solutions, to ensure that the pre-owned XUV500 you’re buying doesn’t suffer from the issues listed. Given the fact that 2011 and 2012 examples of the XUV500 – the ones you can buy for 9-10 lakh rupees in the pre-owned market – will be out of warranty, it is a good idea to ensure that the vehicle you’re considering has had its issues ironed out. Mahindra officially updated the XUV500’s steering hose, windscreen wiper design and the power window motor. While buying a pre-owned example of the crossover, it is important that you ensure that the XUV500 under your consideration has gone through the update process. This recall is applicable to XUV500s manufactured in 2011 and 2012. Once you’ve zeroed in on the XUV500 which fits your budget, comes with a clear service history and legitimate documents such as the registration certificate, insurance and road tax certificate, you can bring your trusted mechanic along and take a test drive of the crossover. This inspection and test drive should be done during the day time when your mechanic can examine the XUV500 thoroughly.